Hey Zombiechinchilla, I'm glad to see you posting more often now that you're out of school for a bit. 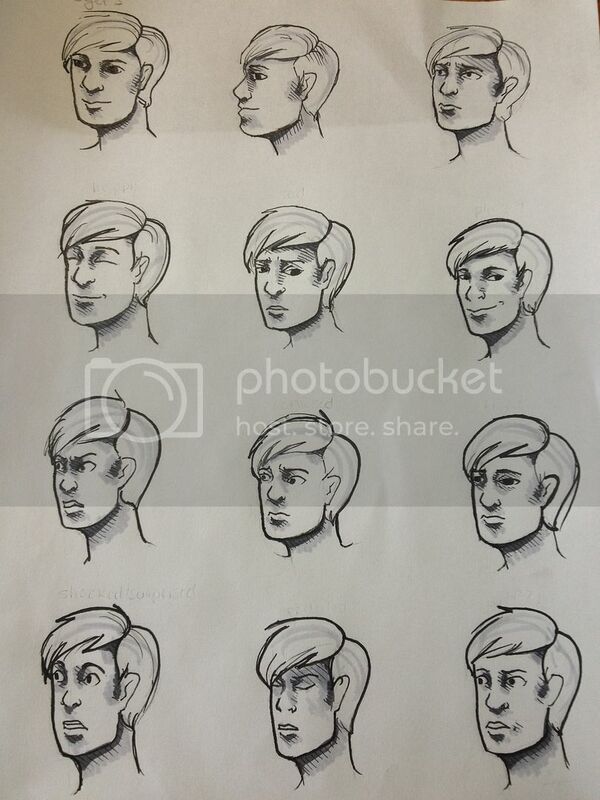 So from what it looks like it seems like you really enjoy to draw and paint characters. 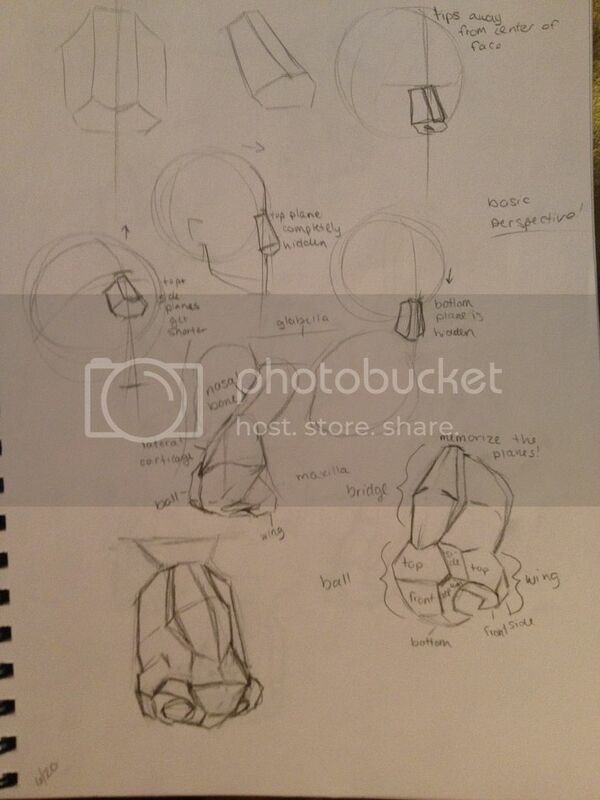 But seriously, and oh I mean seriously, study the anatomy of the nose please. I'm liking all the stuff you're doing but your noses are all the same. They're very large and always flip up kind of like a cartoon nose. 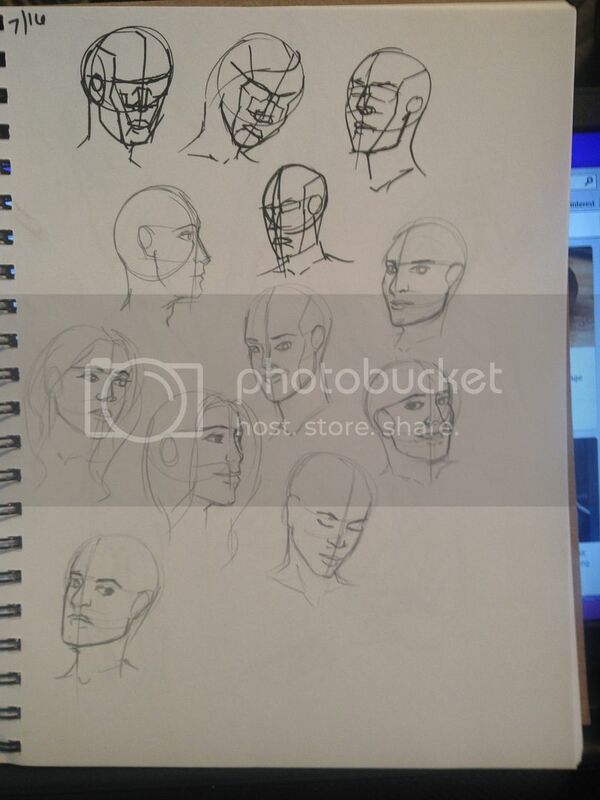 I'm not sure if this is a type of style you're going for, it's hard to tell, but even if it is you should still study the nose. 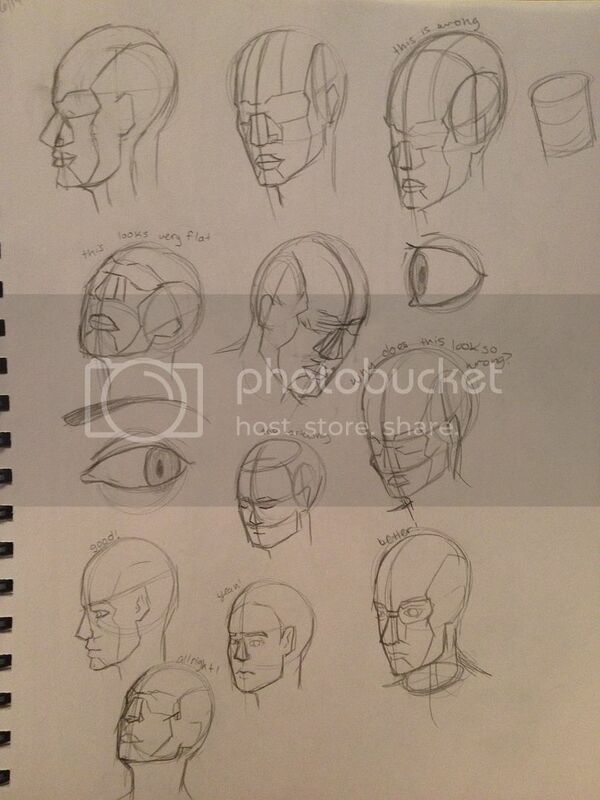 If I can say anything to convince you it's that some of your side views of your heads show the nostrils directly underneath the eyes. That is never ever natural ever. 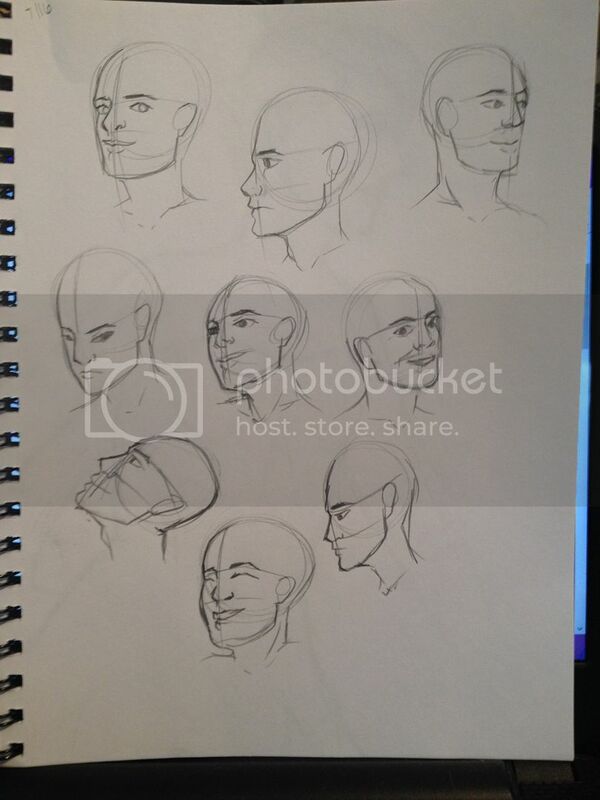 Try to buy or find a download of Loomis' Drawing the Head and Hands book and studyyyyyyyyyyyy. Study it all, let it consume you. 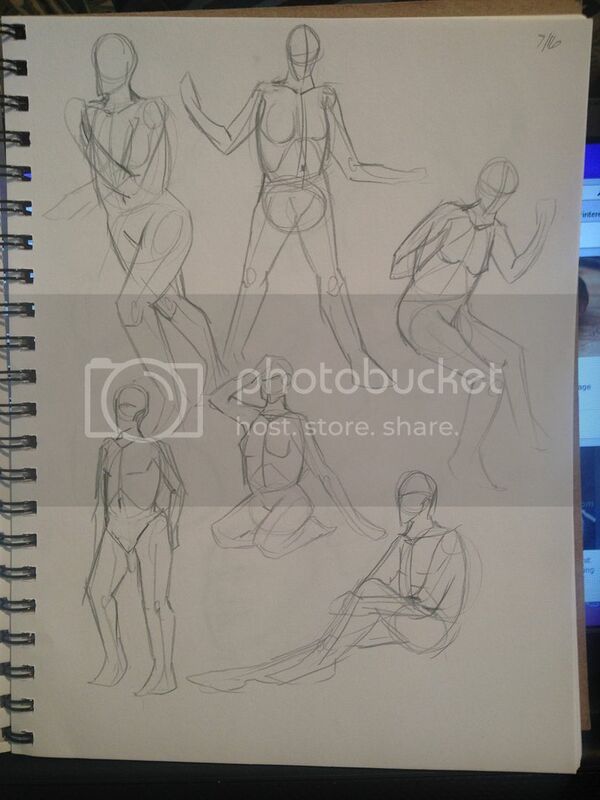 Recently you were doing some gestures and figure studies and anatomy studies and that's fantastic, definitely keep doing those. But don't forget to apply your studies. One thing I'm not seeing all that often in here are your own figures from imagination. 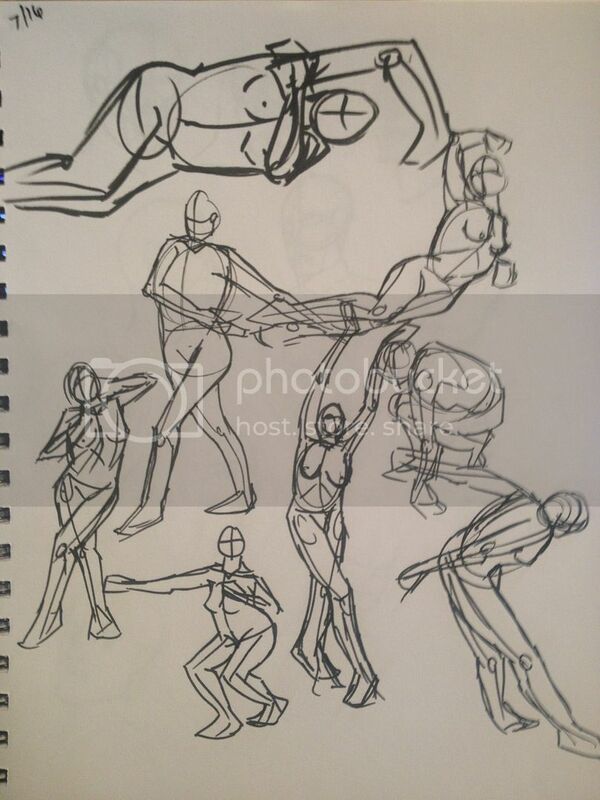 Every time you sit down to do some anatomy or gestures or figures be absolutely sure to leave some time afterwards to do at least a few of your own figures from your head and really try to think about what you learned. 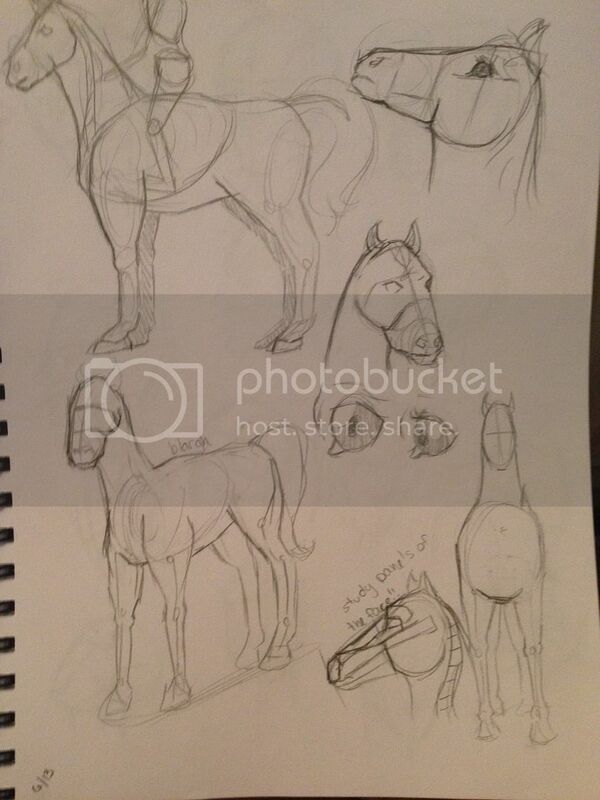 The only other thing I've gotta mention is on the previous page I saw you did a ton of horse studies and then there was a plein air painting, all while working on a redesign of Buttercup. 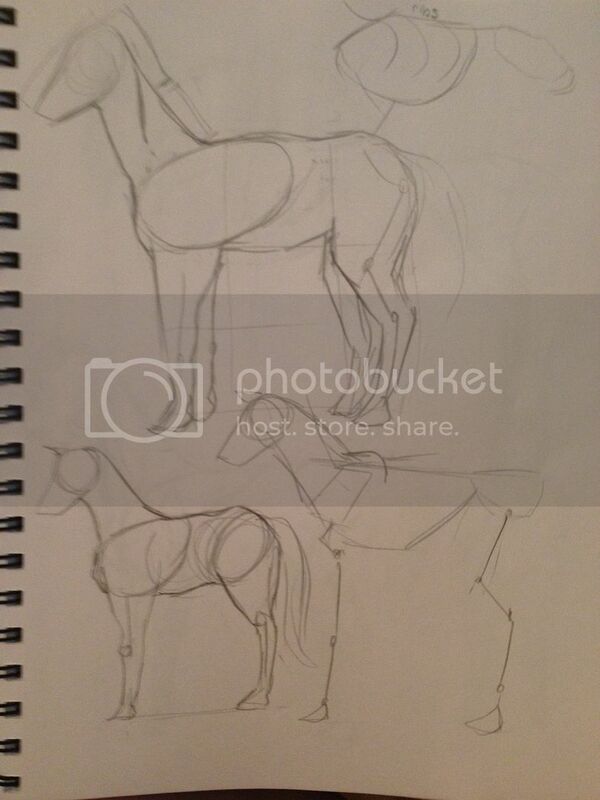 That was a perfect opportunity to apply studies to your work but instead you drew horses and an environment. 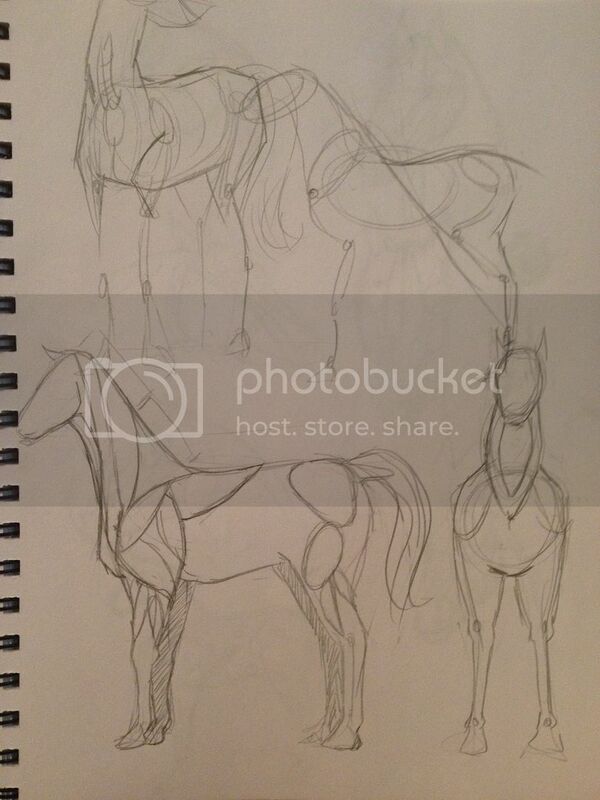 Now I'm not saying "Don't ever draw horses unless you draw more horses" or anything like that. 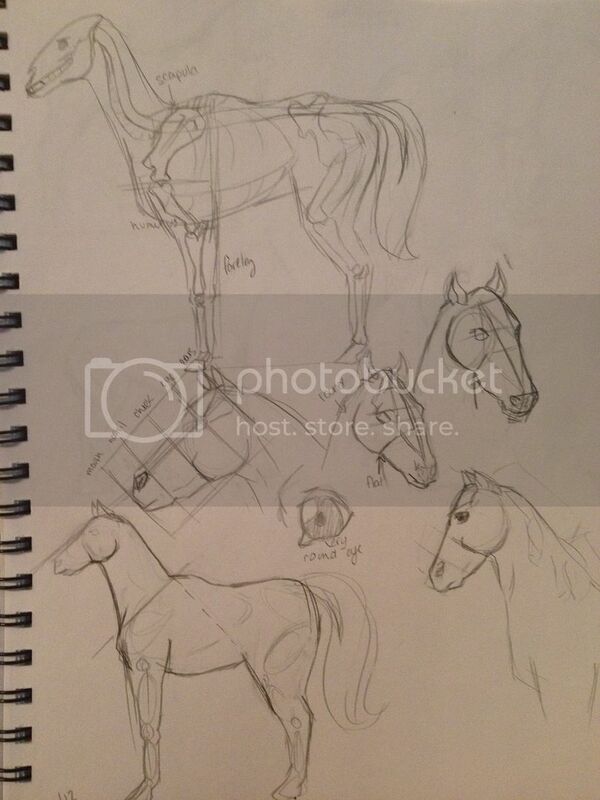 It's all good fun if you feel like drawing a horse or two, but if you want to improve as quickly as you can then you have to knock out the pointless studies. 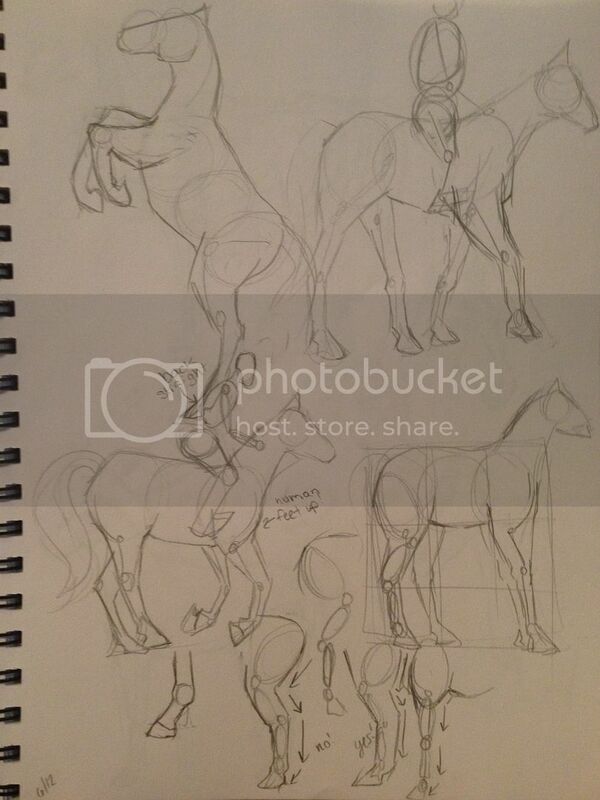 Those horse studies weren't applied (This is all based on assumptions since I don't see any horses from imagination but you could've just not posted them) so you probably aren't going to remember much of what you learned from drawing those horses. 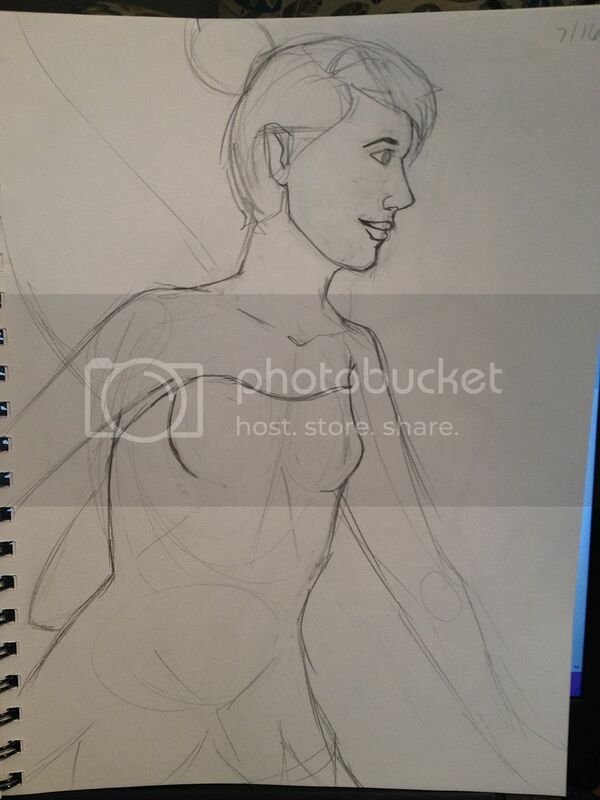 However studying the figure and gesture and female faces and dresses or green color schemes, any of those would've been fantastic to study while working on Buttercup. 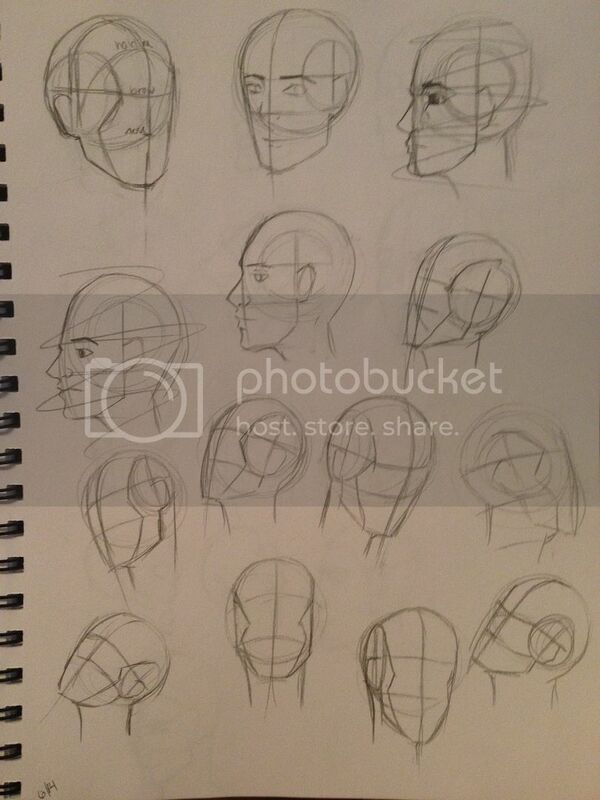 Just keep this in mind when working on your next image. Forrestimel- Dang, thanks for the tips. It's true that I don't have the best studying habits, but this past week I buckled down more and hopefully I'll be improving my habits and improving in general. 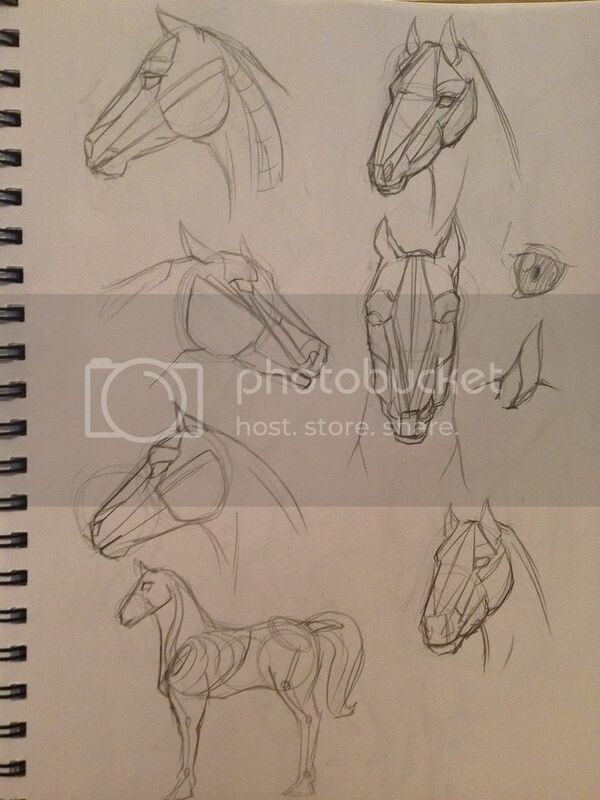 I did some more in-depth horse studies and nose studies, and I think I'm going to work on a bigger piece for my portfolio, all while doing studies and applying them. Thank you again!! 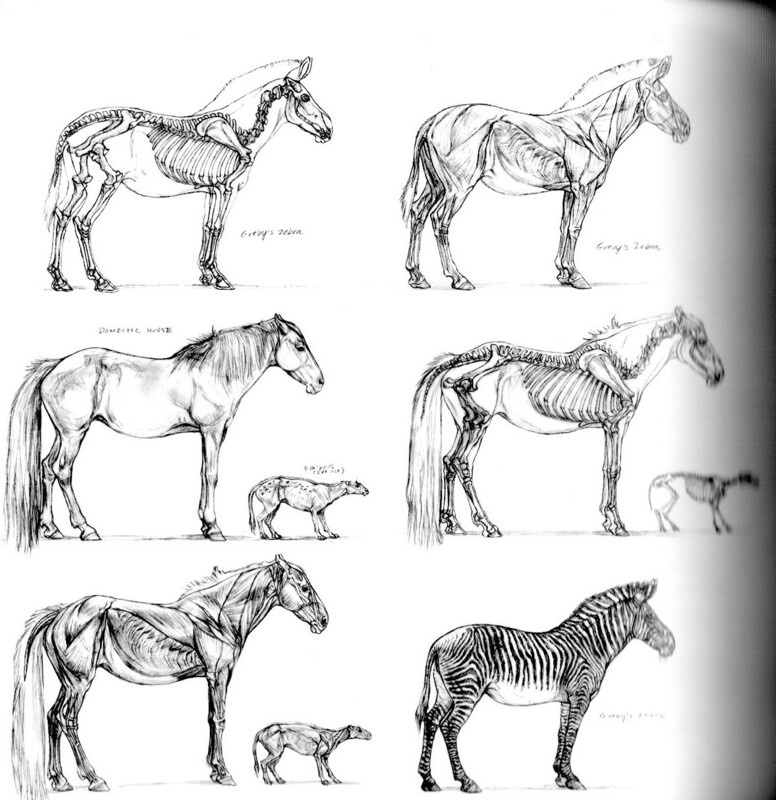 Here are some reference for your studies. 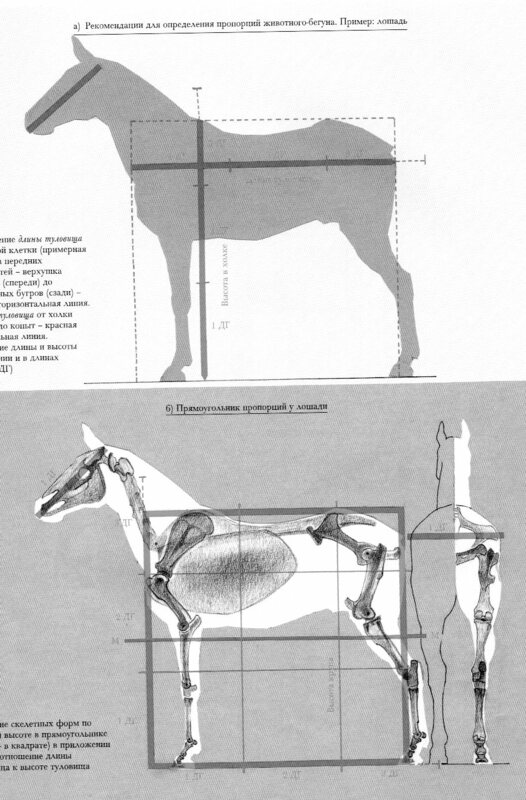 This first image is from Animals Real and Imagined, which features many great animal drawings. It's available to buy. 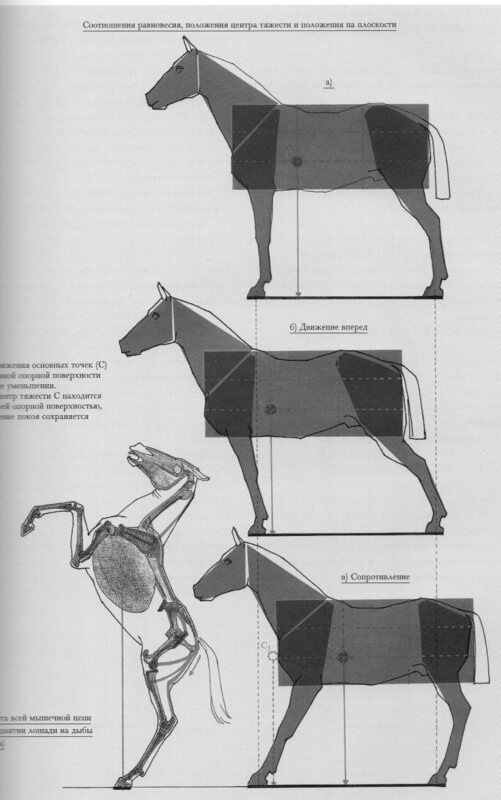 The other 2 are from an animal book that probably isn't available anymore. WELP, my tablet pen is too short for my pen so I'll be tablet-less for the next few days. I ordered some materials to make my own new nibs *crosses fingers that it'll work*, but until then I'll be all traditional. 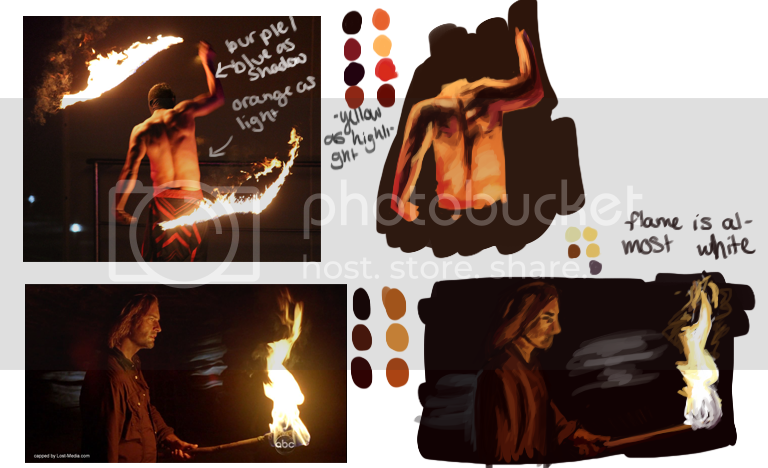 But for now, I have some thumbnails for an illustration, and some flame studies for it. You can make your own nibs? Didn't know that... would like to try one day. 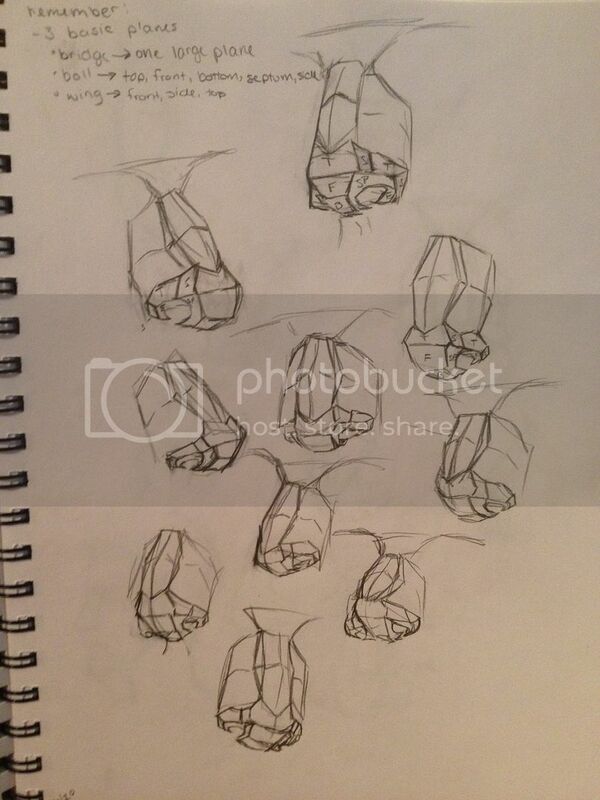 Nice light studies! 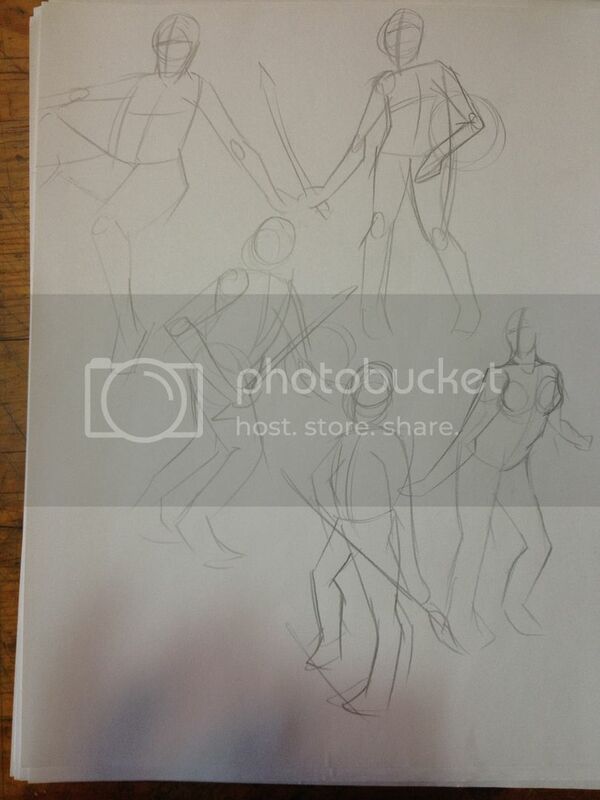 You could simplify the figures even more and focus just on the color and light. meat- Yeahhh, it didn't work as well as I hoped it would. I used this tutorial, but the nib ended up being so sensitive that it would be writing all over the screen without the pen actually touching the tablet. So after a week of attempting to get it to work, I caved and just bought real nibs on amazon. Ah well, if you want to try it, by all means! And tell me how it works. ;) And thank you! Jaik- Ahhh, yeah, nice catch! I think I tend to overcomplicate things for myself. Thank you! Oh man, I've lost my streak! Me losing the use of my tablet really pulled me back from working more, more than I would like to admit. And it happened to happen just as I was getting my hands dirty on a big painting! Gah. Oh well. 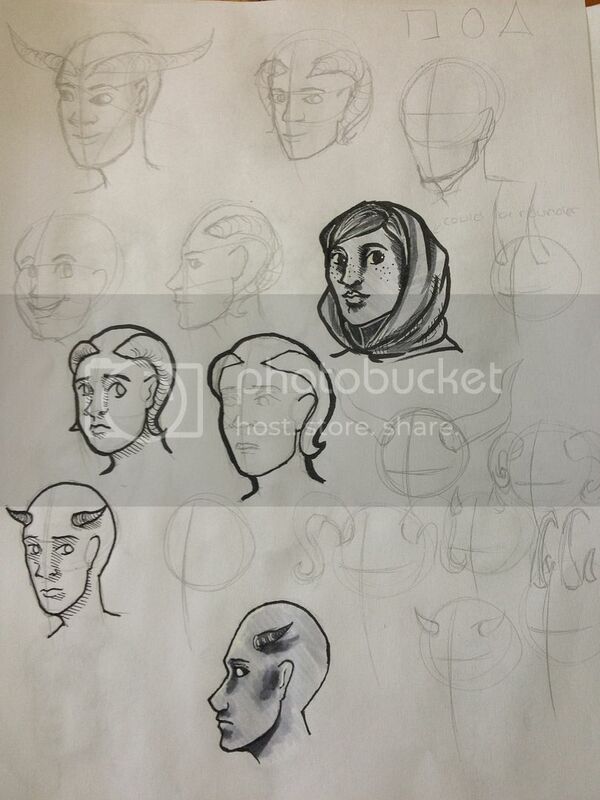 A few days ago I did a few character designs for a webcomic I'm hoping to develop. 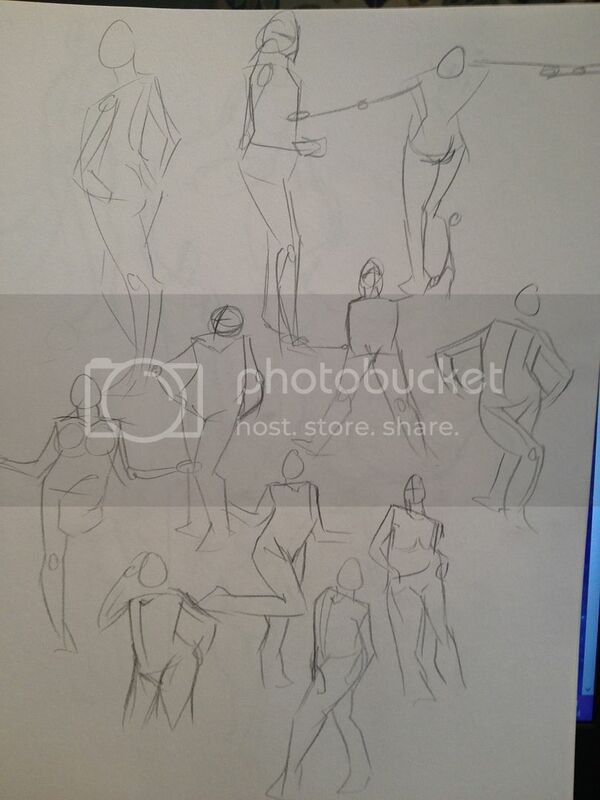 And then some short gestures. 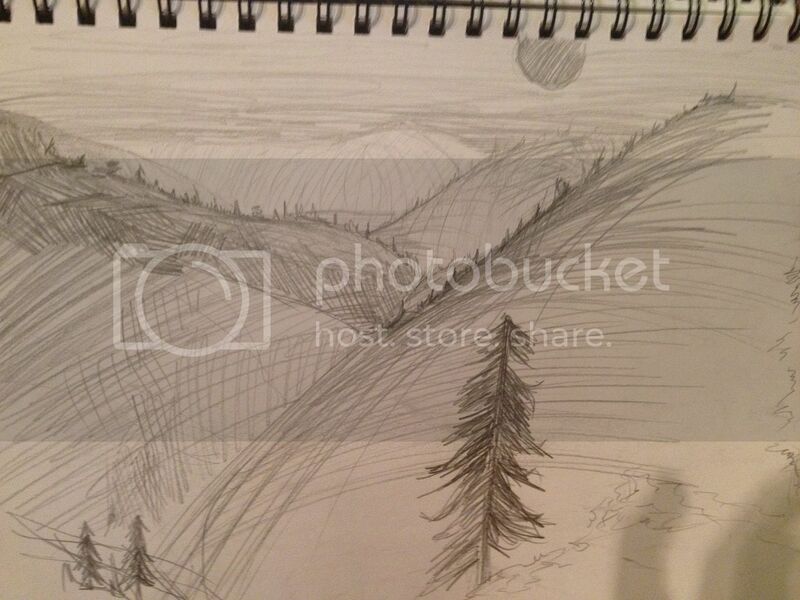 And my work in progress! Still got a long way to go. I see some good effort in here. Those figures are looking a lot better from the first page. 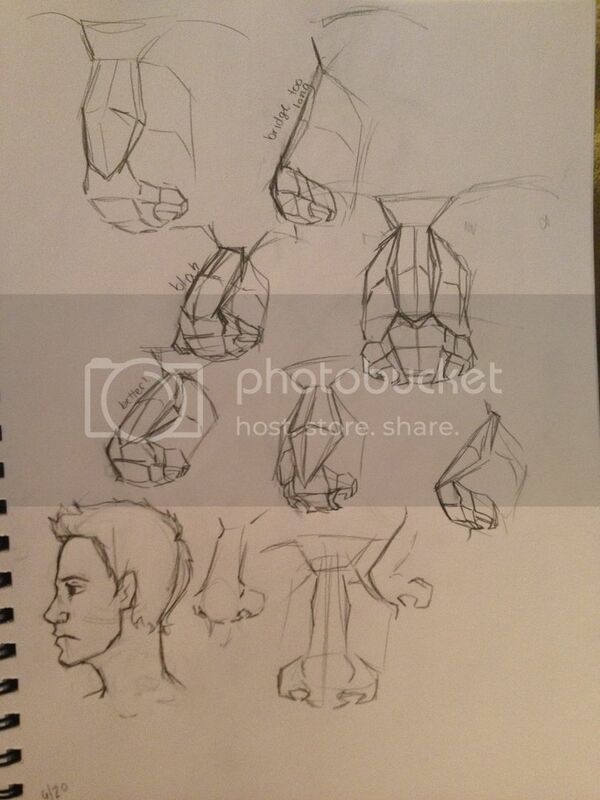 Some of the angles on the arms are off from the reference in that last one. 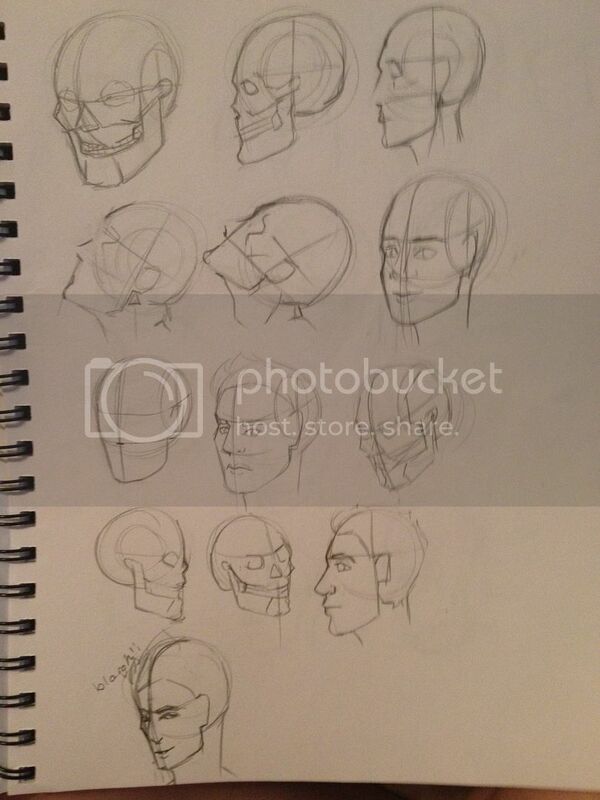 One thing I find helpful when drawing from reference is to pay just as much attention to the negative space around a form than to the form itself. Keep it up! Okay, I finished that painting. 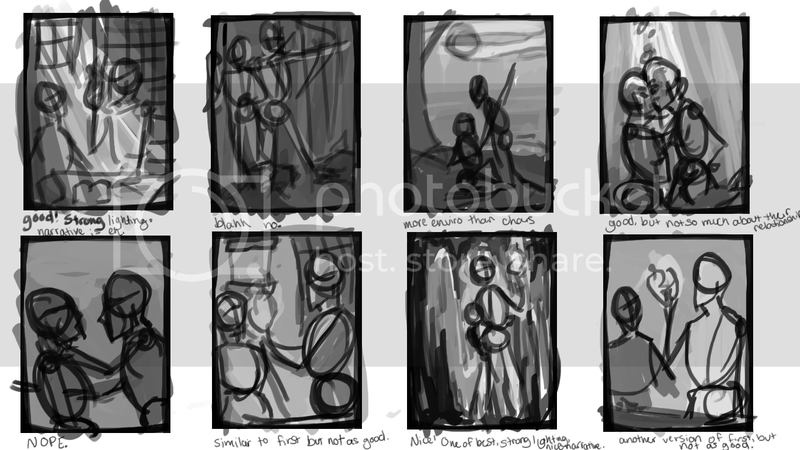 I'm gonna post it in the critique section because I could definitely use them. 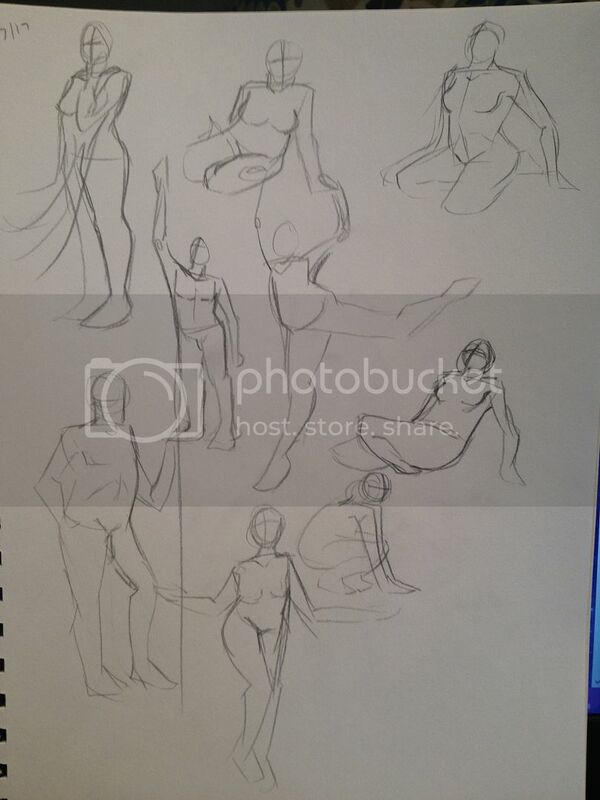 And I did some poses yesterday. The lighting in that painting is well executed. I think you need to vary and solidify the textures of the rocks in the background a bit more though. Thanks so much! 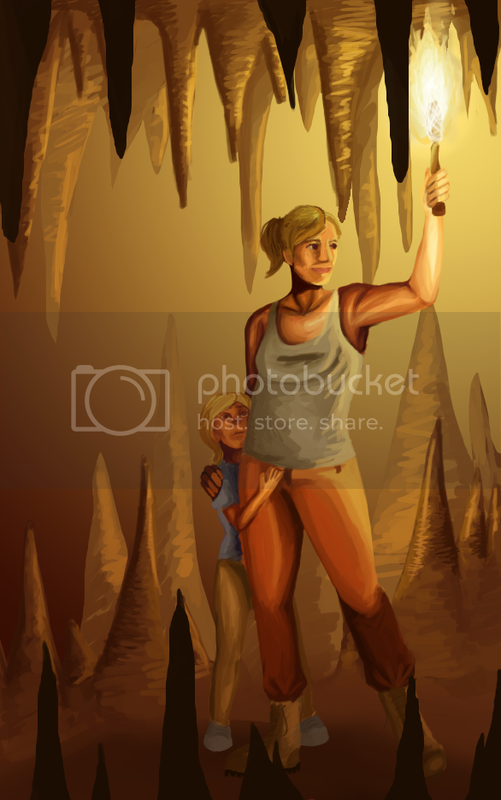 Part of me wants to revisit that painting and work on the rock texture, but man, I just spent way too much time on it. I think I'm just gonna let it rest. 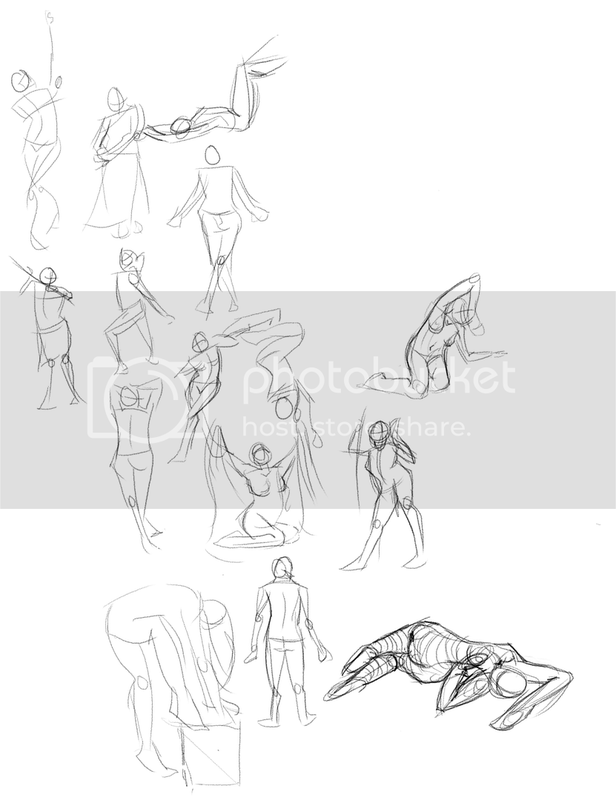 I did some poses and head studies, and a drawing of a fairy that I'm gonna print and mail to my 4-year-old niece to color in. 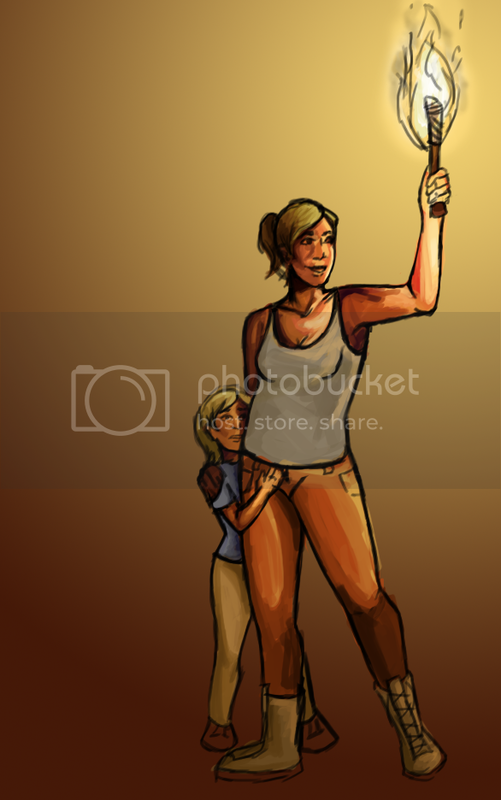 I think I'm gonna do more drawings like this for her. 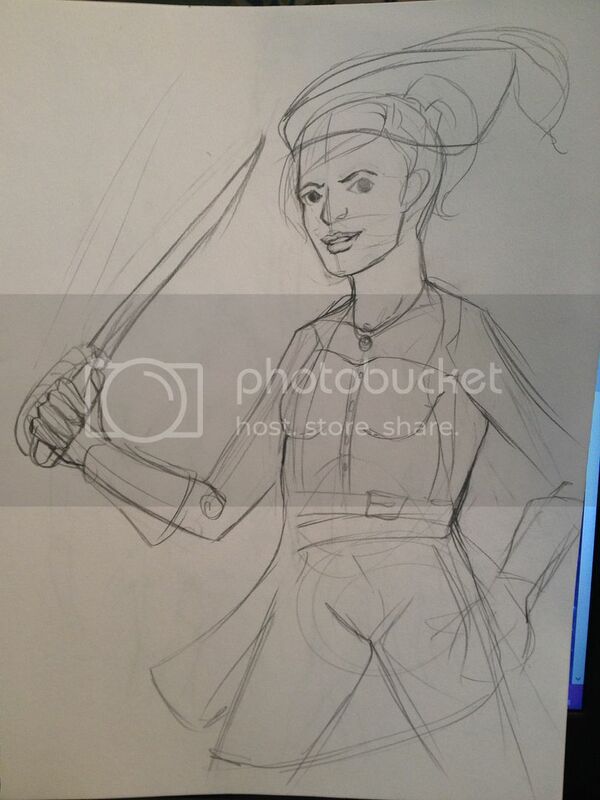 I have some more drawings for my niece, one of Tinkerbell and of a cool pirate lady. I'm gonna do lines tonight. 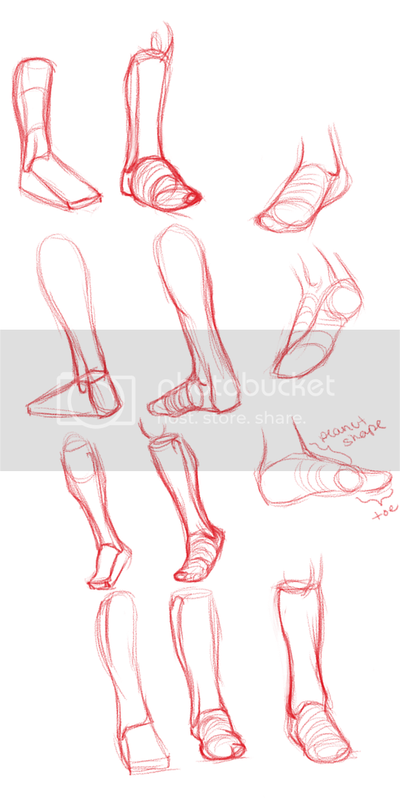 Hey thanks for stopping by, you are on a roll with these studies lately, can see a lot of improvement since the first page, yours lines are very good now. Keep it going! rafa- Thank you so much! Beardley- Haha, well you at least have an epic beard right? Lol. 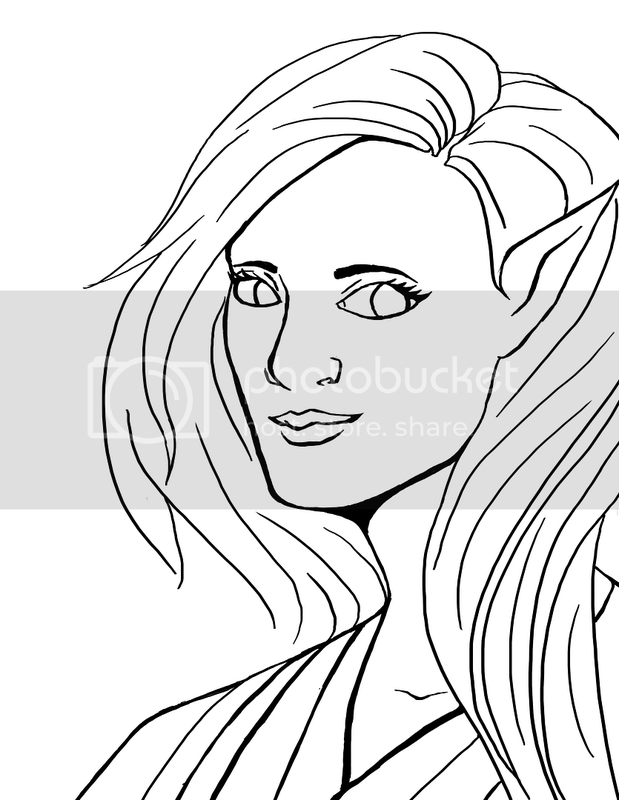 She's a random lady from The Lies of Locke Lamora, where they put women in an arena with leaping sharks for sport. I tried my best to use the description in the book for her. 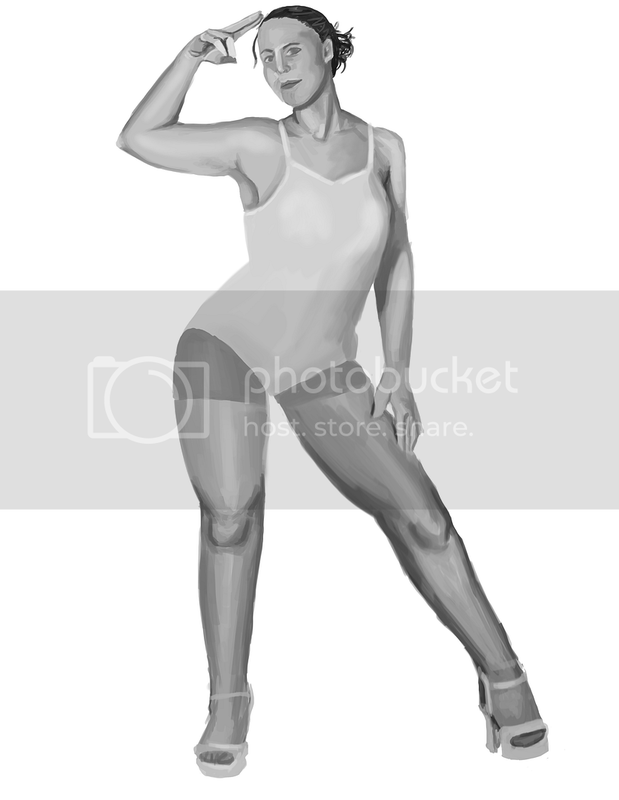 I did this painting by doing a grayscale layer and then an overlay color layer on top. I'm not quite sure if I like the result I got from it. I wish I had the patience to grow out a proper beard, but it always sits at about 1/4 inch :< Someday though! And about that last piece you did, did you use only one or two colours to colour the greyscale? I find that gives "ok" results, but only if your values are spot on and even then its usually not that interesting. Ahh, man, so disappointed in your lack of beard. ;) Lol I'm kidding. Thank you though!